The Scottish Football Association hopes to identify a new performance director in the next two weeks. 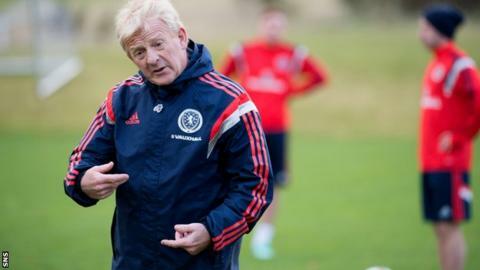 And national team manager Gordon Strachan will help the game's governing body to find the right candidate. Former Scotland managers Walter Smith and Andy Roxburgh, and SFA chief executive Stewart Regan, will also help whittle down more than 40 applicants. Dutchman Mark Wotte left the role as performance director in October after three years in the post. Wotte was brought in to implement the SFA's performance strategy in the wake of the Henry McLeish Review of Scottish Football, which recommended sweeping changes to the domestic structure. During his time in the role, seven regional performance schools, involving more than 300 of the country's most talented boys and girls, were set up throughout Scotland.